A Page displays and organizes data so that it is easy to interpret. Often, a Page displays data collected by a Report or multiple Reports. A Page may be referred to as a "Dashboard" especially when it displays multiple views of data for a user to analyze or take action on. Graphical displays like charts, pie graphs, and tiles let users quickly view relevant information while allowing the option to take action directly from the Page. 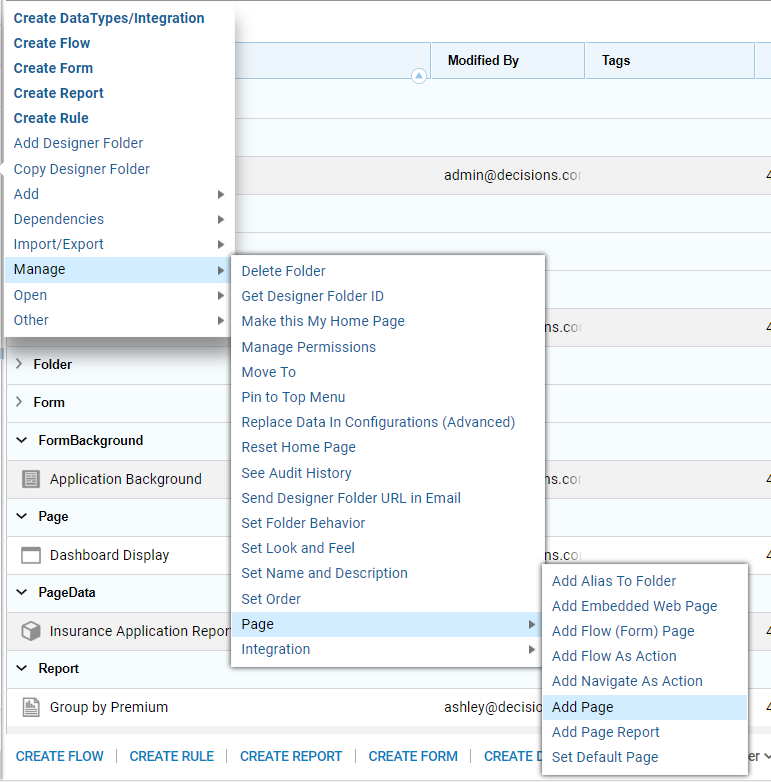 The data on a Page is updated whenever the user opens or refreshes the Page so the data displayed is always current. 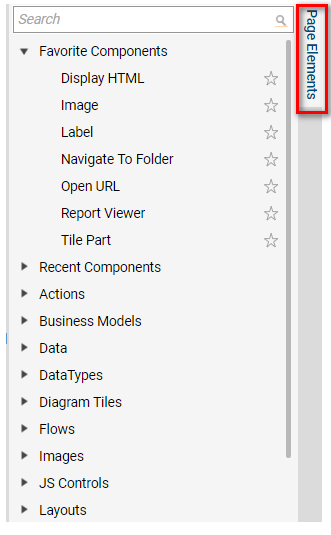 Once in the Page Designer add elements from the Page Elements	tab on the right and configure those elements in the Properties	tab.